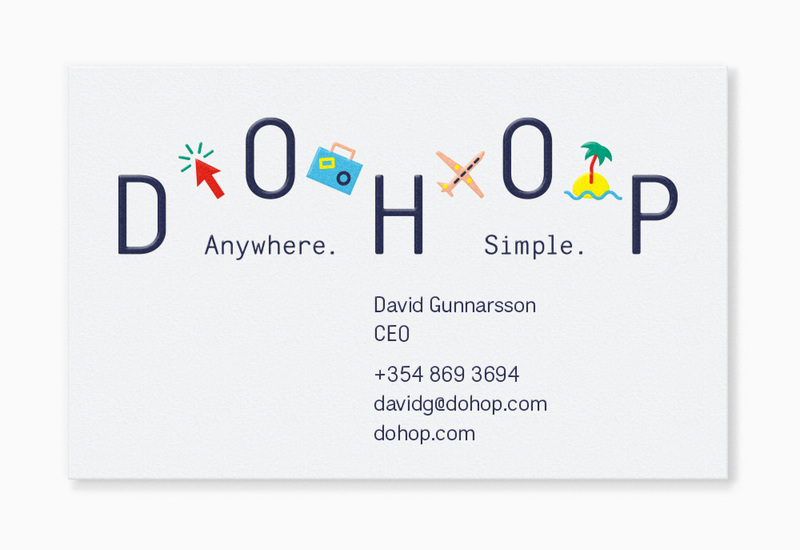 Launched in 2005, Dohop (pronounced dough-hop more or less) is a travel search engine, founded and developed in Reykjavik, Iceland by a small team. Unlike Travelocity or Orbitz, Dohop doesn’t let you purchase flights directly on its site and instead redirects you to each airline. Despite the seemingly limited functionality to complete travel, Dohop has won a number of travel awards. Recently, the company introduced a new identity designed by Stockholm, Sweden-based Bedow. A nice microsite with design guidelines can be found here. 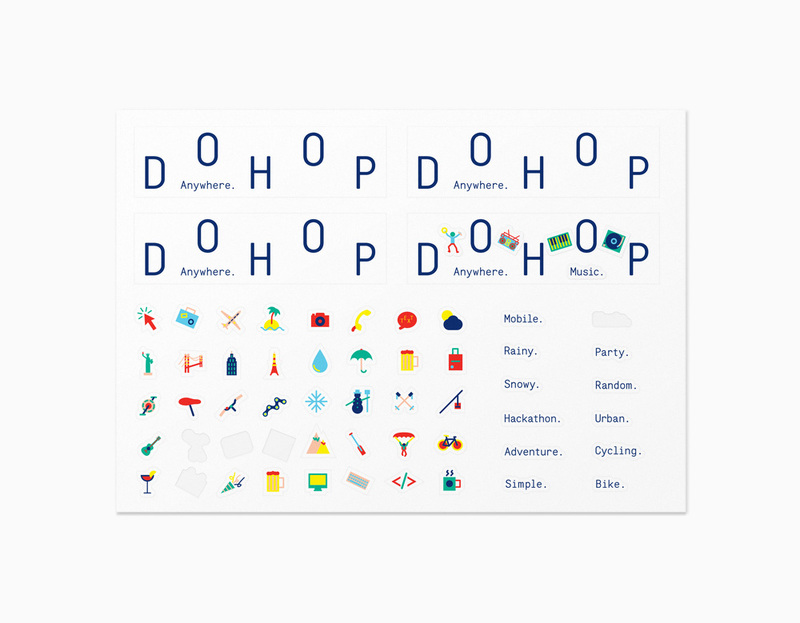 Dohop’s logotype is flexible in the sense that it can communicate things, destinations or people. Their new tagline ANYWHERE. SIMPLE. is illustrated by a short riddle of icons describing the simpleness of using the service — CLICK, PACK, FLY, ENJOY. The icons changes with the destinations or themes, e.g. Anywhere. Adventure. depicts illustrations connected to the subject adventure — an air-balloon, a bike, a mountain and a paddle. Animation that switches icons between themes like adventure, cycling, hackathon, mobile, music, party, rainy, snowy, and urban. The old logo had the right intention and idea in going with fully geometric letterforms but despite how relatively easy it is to make that approach look good, they managed to make it look bad — it’s like everything was going fine until they hit the “h” and couldn’t figure out what to do while the dull blue and the baggage tag at the end cheapened it more. The new logo is very unconventional in that it’s almost like its own billboard with a layout and hierarchy within it but it’s quite fun in its quirkiness. The condensed, robot-ish typography looks good and matches well with the playful icons — that at first, I’ll admit, I was hesitant to like because they looked too playful. I like how the icons can switch to communicate different themes although it’s hard to tell at which point in the experience with Dohop you see them but, hey, they make for a cool GIF and talking point. If you’ve reached your limit of friendly icon sets, this identity might irk you. I’m undecided whether I would like the icons to have more consistency between them — they are all over the place in terms of style, sizing (meaning a close-up of a bike vs. a full view of a suitcase), orientation — or if it’s the inconsistency that makes them work with the color palette tying them together. 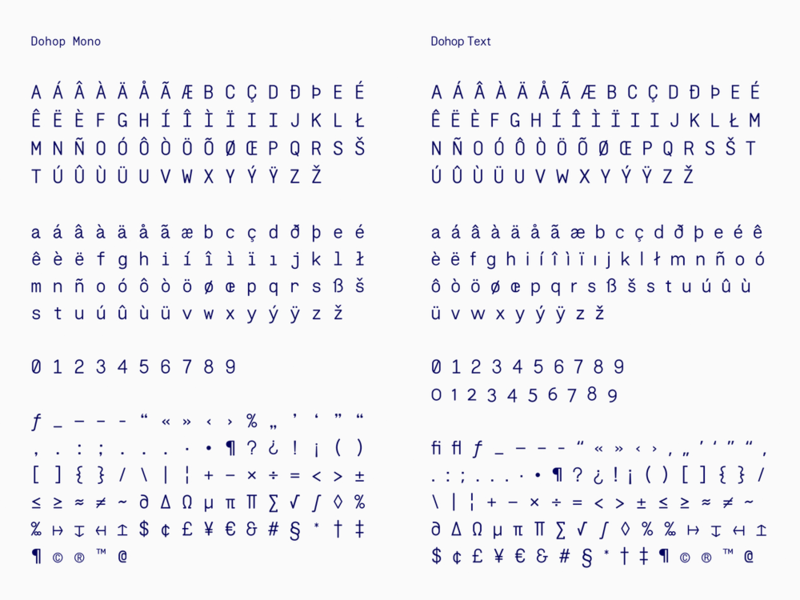 Dohop’s TYPEFACE Dohop Mono is an interpretation of the typeface from the Olivetti Lettera typewriter — its monospaced style suits Dohop’s needs perfect. The typeface Dohop Text was designed to complement the display version. Both typefaces are done in collaboration with type designer Íñigo López Vázquez exclusively for Dohop. Custom fonts by Íñigo López Vázquez. The applications are fairly straightforward but with a logo that has so much stuff on it, that’s the best way to go. The best application might be their website — and I rarely praise websites. It manages to make the logo look more serious, the custom fonts look great, it’s all very neatly laid out, and the use of color is sharp and engaging. The videos above are cute but maybe too cute once they introduce humans, it’s like an MTV ident that lost its way. Still, the overall package points to a service that feels friendly and accessible while the crisp website makes you feel comfortable to trust the service. Launched in 2005, Dohop (pronounced dough-hop more or less) is a travel search engine, founded and developed in Reykjavik, Iceland by a small team. Unlike Travelocity or Orbitz, Dohop doesn't let you purchase flights directly on its site and instead redirects you to each airline. 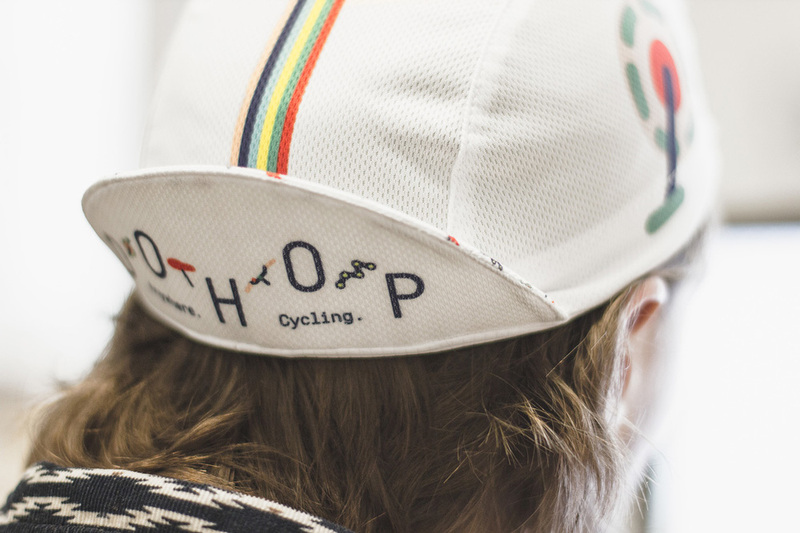 Despite the seemingly limited functionality to complete travel, Dohop has won a number of travel awards. Recently, the company introduced a new identity designed by Stockholm, Sweden-based Bedow.